If you or a loved one are facing criminal charges, The Law Offices of Michael H. Ricca, P.C.  is here to fight for your rights and to guide you through the maze that is the New York State legal system. Criminal charges encompass the most serious offenses you can be faced with. Once you are convicted of a criminal offense, all aspects of your life aspects of your life can be negatively impacted. Because of this, it is critical to take immediate action to protect your rights before a conviction takes place. Hefty Financial Burdens: One of the most common punishments for any crime or violation includes financial compensation. This may include restitution payments, court fees, and much more. Incarceration: Whether you are convicted of a violation, misdemeanor or a felony, you may be looking at a potential jail or prison sentence. While incarceration itself is hard, the toll it takes on your family, finances, and mental well-being are often incomprehensible. Criminal Record: Once you have a criminal record, the serious fallout begins. A criminal record can affect almost every aspect of your life. For example, having a criminal record can cause you to lose your job and be unable to find work elsewhere. It can also lead to housing, college, and loan refusals. The downward spiral often created by a criminal record cannot be ignored. Hiring a private attorney, like Michael H. Ricca, is your best chance of escaping a criminal conviction. Unlike the overburdened public defenders freely provided to you if you qualify, Michael H. Ricca is able to give your case the attention it deserves. No one should face charges alone or with inadequate representation. Regardless of the charges against you, The Law Offices of Michael H. Ricca P.C. supports your right to proper counsel. White Collar Crimes, and more. We understand how imperative it is to have competent, experienced legal representation through every step of the criminal process. From planning, negotiations and trial preparations to a potential sentencing or appeals procedure, when you hire Michael H. Ricca, you hire a committed ally and professional. Criminal charges are serious. Regardless of whether your offense was a misdemeanor or a felony, any criminal conviction will result in a criminal record. This record will follow you for the rest of your life. If you are convicted of a criminal offense, there are plenty of consequences you may need to deal with. Hefty financial burdens, such as restitution payments, court costs, fees and more can bankrupt you and your family. Aside from the obvious pitfalls of incarceration, potential jail or prison sentences can increase this financial burden on your loved ones as well. Consequences of a criminal conviction can also include having your rights taken away, disqualifications that may impact your current or future employment, and impacts to government benefits among others. If you have been issued a criminal charge, you should seek the help of a reputable lawyer immediately. The consequences of a criminal conviction are too great to go-it-alone. Having legal representation can decrease the chances of a conviction or, in the very least, help reduce the consequences associated with a conviction. Public defenders, which are assigned to cases in which an individual wants representation but cannot afford it, are available to you. You have a right to this state-financed service. However, public defenders are often overburdened with an ever-growing case load; they may not be able to dedicate the time your case deserves in order to achieve the best possible outcome for you. A paid criminal defense lawyer offers a much better chance of success. When you hire a reputable criminal defense lawyer, which is referred to as private counsel, they have the ability to dedicate much more time to your specific case. In other words, because they pick and choose which cases they take, private counsel is better able to control their own workload. Not only does this mean they have more bandwidth to review and research similar case rulings, they are also able to dedicate more time to preparing you for the overwhelming experience the criminal process and walk you through the steps of a trial or plea deal. While not all cases end up in court, those that do require preparation. A criminal defense lawyer also has the ability to spend as much time with you as needed to prepare you for your trial. From helping to clearly outline the trial process to preparing for cross-examination tactics, a reputable criminal defense lawyer knows exactly how to guide you through the intense, often overwhelming, nature of your criminal charges. Additionally, a reputable criminal defense lawyer will not guarantee you any particular outcome. They will evaluate the facts of your case with you and inform you of the unbiased and likely outcomes if you would like to pursue a trial option. Many criminal cases do not end in a trial, but rather come down to plea negotiations. Our firm has the ability to think outside the box; that, along with the fierce determination to provide the highest quality representation to our clients, making us a force to be reckoned with both inside and outside the courtroom. The ability to negotiate is an essential tool for an experienced and reputable criminal defense attorney. It takes skill and experience to truly hone the necessary negotiation strategies many criminal cases require. – If I Am Convicted, Are There Other Legal Options Available to Me? While there are appeals processes, sealing of certain offenses, pardons, parole boards, and other avenues with which you can attempt to appeal or shorten any sentence you receive, avoiding the conviction is the primary objective. However, that does not mean these other options are not worth trying should you find yourself convicted of a criminal offense. If you have already been convicted of a crime, consulting with private counsel can help you determine what path, if any, you would like to pursue. As pointed out above, not all legal counsel is created equal. If you feel your previous public defender or private counsel has erred with your case or provided damaging legal advice, you should contact the Law Offices of Michael H. Ricca, P.C. today. On the other hand, if you feel that your current counsel is not performing as well as you had hoped, we are here for you as well. A careful review of your case and/or conviction by a fresh set of eyes may lead to the discovery of information missed by previous or current legal counsel that may be grounds for an appeal or outright dismissal of your charges. If you or a loved one have been arrested, it is critical to remember to remain silent. You have no obligation to sign anything or say anything to law enforcement without first speaking with an attorney. In fact, once you request a lawyer, law enforcement is no longer allowed to question you until your legal counsel arrives. By remaining silent, you are less likely to accidentally incriminate yourself. Law enforcement and prosecutors are notorious for twisting an individual’s words to fit their agenda. For example, are you being asked where you were at 8:15PM on a Thursday night, 9 months ago? Constant questioning and baiting by law enforcement may cause you to blurt out the first response that comes to mind, regardless of whether you are able to remember an exact timeline from months ago or not. If you were mistaken about your whereabouts, however, a prosecutor may capitalize on this and attempt to make you appear dishonest and misleading in front of a judge and jury. Remaining silent, however, can give you and your lawyer time to carefully evaluate your timeline, establish an accurate scenario, and provide straightforward, clear responses. Our firm is committed to ensuring that you receive proper justice under the legal system. Whether these are your first charges or you happen to be a repeat offender, you have rights and Mr. Ricca can help. YOUR DEFENSE STARTS WITH THE LAW OFFICES OF MICHAEL H. RICCA, P.C. The Law Offices of Michael H. Ricca, P.C. treats each and every case with the utmost importance, whether it is a misdemeanor that is unlikely to result in jail time or a felony charge facing life in prison. We understand that a criminal conviction can have a cascading effect on life. If you or a loved one have been arrested, it is crucial to hire an experienced criminal defense lawyer. With the Law Offices of Michael H. Ricca, P.C. you get that and much more. The legal process can move quickly and it is important to address any issues as soon as possible to avoid further legal difficulties. Our firm handles all types of criminal cases with extensive experience at both the state and federal levels. The legal jargon used in court rooms may be unfamiliar to many. Having our firm by your side is helpful to guide you and your loved ones through the legal process. If your case can be settled, our firm can negotiate the terms of the settlement for you. If your case will go to trial, our firm can walk you through each step of the pre-trial and trial process in a simple and easy way. Not only is our goal to help you understand the charges and process, but also to provide you with a truthful assessment of the potential outcome. At the Law Offices of Michael H. Ricca, P.C., we understand that facing criminal charges can be a complex and intimidating experience. After all, your entire freedom may be on the line depending on the severity of the charges. 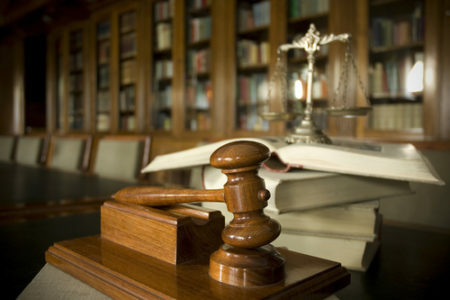 Our law firm also understands the ins and outs of the criminal court system. With years of experience, as well as a deep passion for protecting the rights of those charged with a crime, Mr. Ricca has been recognized as one of the best criminal defense lawyers in Nassau County.  His ability to realistically evaluate the facts and contributing factors of a case, as well as his skill during negotiations, has helped many of his criminally-charged clients. As the best criminal defense lawyer in Nassau County, we are dedicated to providing the highest quality legal representation. If you or a loved one is in need to a criminal defense lawyer, put your trust in us and call today for your free telephone consultation.